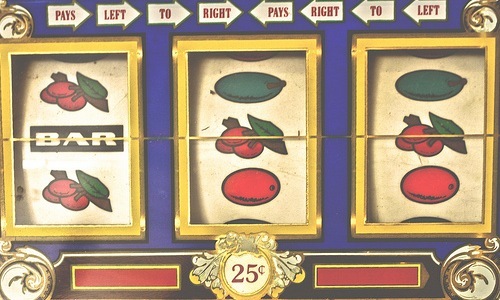 Is Gambling a Waste of Money? The thing I really like about writing about personal finance and wealth creation is the way it helps to develop and challenge your own ideas about the subject. When I first started writing I had a pretty strong stance on certain things and couldn’t for the life of me see why people would ‘throw’ their hard earned money away on expensive items, or worse yet gamble it in various ways. After a couple of years of writing and critical thinking I’ve started to change many of the perceptions I’ve had and view things in quite a different way. It’s actually quite a long hard slog building wealth bit by bit as an average, working class person and a lot of the time it can be rather unrewarding. I know that there are some self loathing types around that get into that sort of thing, but to be honest, it just isn’t for me. I need to feel like I’m getting somewhere and be rewarded for hard work, so the odd luxury here and there certainly doesn’t go astray. The fundamental difference that I’ve discovered though, is that a luxury to me isn’t the same for someone else. I know it sounds absurdly simple, but this has actually taken me quite a while to work out. For years I couldn’t work out why people would spend money the way they did, it just didn’t make sense to me. Eventually though I have realised that it really isn’t about spending the money, it’s about the satisfaction, reward, sense of achievement or sheer thrill that you get as a result. Spending your money as you see fit is exactly what wealth creation is all about. You know what? I’m a crap gambler, so it holds very little appeal for me, but I do know a lot of people that absolutely love it. The thrill of rolling dice, the skill in poker or the atmosphere of a race can get people pretty worked up, but more than that it can make them feel like a winner. Gambling has long been associated with class and wealth (I’ve always been a fan of the way James Bond plays big at the casino) and it is this very feeling that we all strive for, whether we are gambling or buying a luxury item that we don’t really need. be aware of what you are spending and ensure that you are doing it for the right reasons. Does this really bring you the satisfaction and thrill you are after, or could your money be better spent. Stick to a budget and don’t waiver. As with spending money on anything else, you can always go bigger, better, or just one more – don’t spoil the reward and stick to the game plan. Gambling is generally best undertaken in a social setting. Playing online might be convenient, but there is no substitute for interacting with real people. Sharing a win, or commiserating a loss is best done with company. I’m pretty curious to see what others think about my approach to gambling as a reward, I’d guess many wouldn’t see it the same way. Perhaps you have a personal view about what does and doesn’t constitute good spending habits, or effective use of your money and I’d love to hear it in the comments below. At the end of the day I think that everyone needs to feel like they can have the things they want if they work hard for them and continue to do the right thing as a result. Do you think that gambling is a justifiable reward?